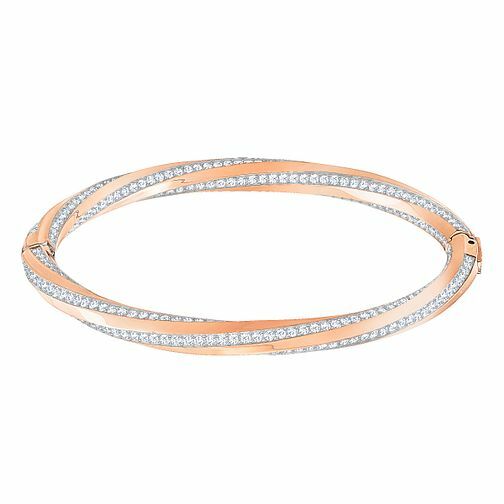 Simple, delicate and on-trend, this timeless bangle from Swarovksi's Hilt collection is ideal for everyday wear. In rose gold Plated and featuring clear crystals in a wraparound design. Swarovski Hilt Rose Gold Plated Bangle Size M is rated 5.0 out of 5 by 1.